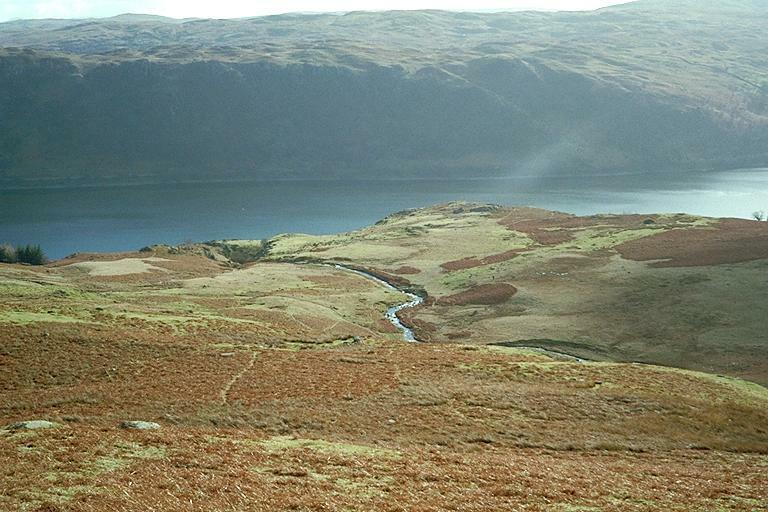 By keeping to the right of the eastern spur of Wether Hill you will eventually see this view of Measand Beck in Fordingdale Bottom, and Haweswater. Your aim is the footbridge across Measand Beck, at a little neck just after the meandering stream turns left. Smaller version of this picture.